Heavy Planet : Nuclear Dog's Atomic Split: DSW - "Dust Storm Warning" / Bison, Bison - "Bison, Bison"
Nuclear Dog's Atomic Split: DSW - "Dust Storm Warning" / Bison, Bison - "Bison, Bison"
The year draws to a close and my thoughts turn to compiling a 'Best Of' list, which has compelled me to review all the music reviewed or submitted for review over the past year on Heavy Planet, not just mine, but everyone's, certainly a serious amount of music. As I was going through it all I discovered I had let at least one excellent album slip through the cracks. 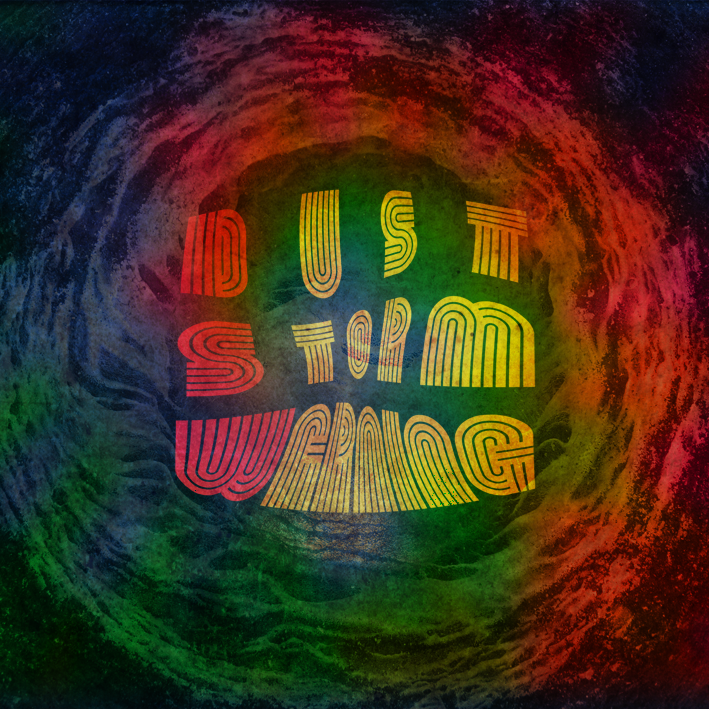 DSW's "Dust Storm Warning" is a stoner rock treasure trove released back in May. It was always on my list of albums to review, it's way too good not to be showcased on our site, but due to the plethora (don't you HATE that word?) of new and wonderful music produced and released every year that fits the Heavy Planet criteria sometimes even great albums fall to the wayside. It's a bit ironic in that this is the type of album you live for as a reviewer. 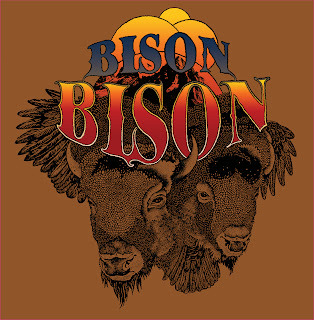 The second feature album for today is Portland, Oregon's Bison, Bison whose debut album was released in August, is chock full of big time stoner riffage, and was another in danger of getting lost in the kerplunk and shuffle until I very fortuitously came across it one day in pursuit of other review prey. 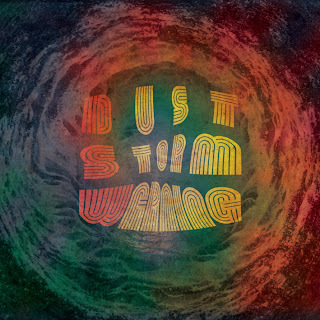 DSW - "DUST STORM WARNING"
It would be a mistake to think DSW is an acronym for Dust Storm Warning, the name of their first full length album, especially when you discover their initial release, an EP from 2011, was titled "Dawn Storm Watchers", making up the same abbreviated moniker. As far as I've been able to tell, DSW aren't providing anything more in depth as to the meaning or story behind those three letters, so we don't know if it's interesting, purposeful, or just plain narcissistic. It doesn't really matter, though, because what matters, of course, is the music, and the music on "Dust Storm Warning" is quality stoner rock, music of the highest quality, a sound that will remain with you quite likely for life, as the best albums always do. "Dust Storm Warning" charges right out of the gate with a declaration of power and energy on the opening track "Outrun". It's a song with a tight, fast tempo underlying a superbly down tuned guitar used to perfect effect in establishing what to expect from the music that follows - huge jaw shattering riffs and solos, magnified and amplified to grab the ends of your soul and stretch it to its limits, allowing the fluid of fuzz to flow through, enveloping your psyche and fusing into pleasure receptors of pure, perfect, true rock. Wolf's vocals are meaty, heavy, and as fuzzy as the sound for which it accompanies. Marco's guitars never waver from their multi-pronged mission of riff and solo delivery, of exciting the neurons of stoner rock ecstasy, of effortlessly delivering on the promise of quality. Stephen's bass, too, is a vanguard of power, clearing out any chaff by delivering precise explosions of pure low tuned power. Fabio's stickwork is incredible and fierce throughout each song, carrying the rhythm, accentuating key moments, and melding all into a ferocious cohesive onslaught of music. "Tripping the Drill" is a tight, harrowing showcase of gargantuan sound, with guitars attacking in wave after wave of ferocious, joyful tempo. "Rise" is a slow, smoldering volcano, beginning with suppressed power and slowly building with beauty to a point of inescapable power. 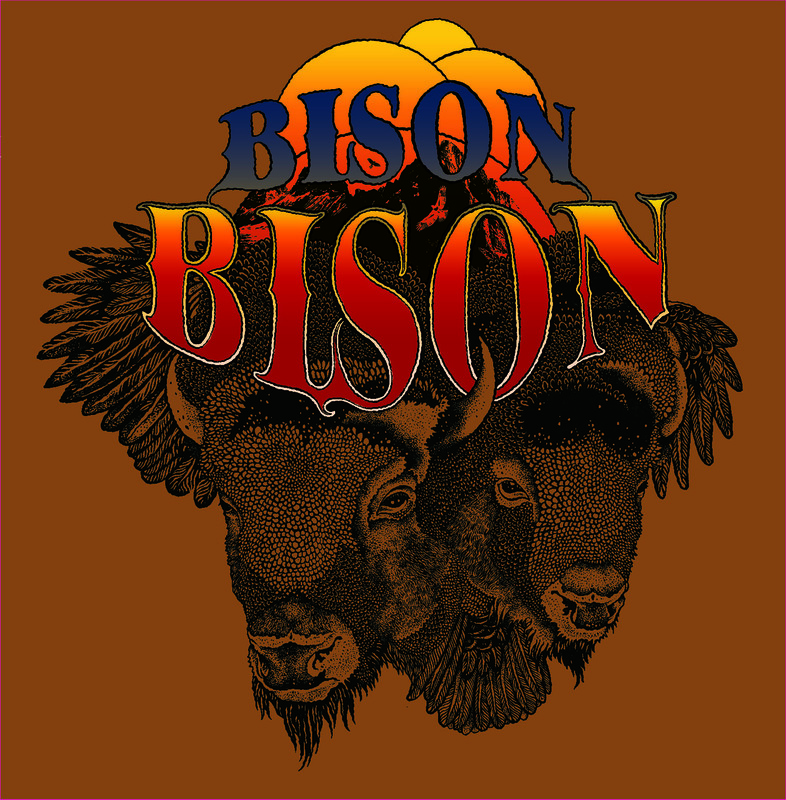 BISON, BISON - "BISON, BISON"
These three rock virtuosos, having just recently formed in 2011, deliver on this album a sound huge and mighty, betraying their seemingly slight roster. Tempo and melody are a staple of the song collection on this self-titled debut, as well as the aforementioned gargantuan nature of each song track contained within. Beautiful and low, the guitar work on this album is rapture incarnate, as the riffs deliver a tortured, twisted, misshapen beauty of amplified distortion, blending perfectly on highlighted solos and booming bassnotes, always leaving a huge yearning for more than gets delivered. Such is the beauty and power of delivery by Miller on these debut tracks and initial foray into the stoner/doom/psych rock world. "She Says" wastes no time in setting the standard for tempo, tone, and might. The guitar here is a giddyup delight of galloping power. Reilly's bass work on this, and all songs, stands out by separating from the undertones at key times with flourishes of exquisite riff deliveries. "Rivertown" takes more of a stoner approach with a slow, measured, power of coalescing fuzz and scarcely restrained fury. "Sweetish" takes a fresh approach to the slow build, like a smoldering volcano releasing slight amounts of fury at a time, while simultaneously delivering deep vibrations of kinetic distortion, building and boiling, releasing jets of ferocious solos and riffs, rumbling long and low until the inevitable explosive crescendo. Check out STONEFIELD this amazing all girl blues/rock band 4 sisters from rural Australia youngest 14- played the John Peel stage at Glastonbury in 2011 and back for 2013- won the Triple JJJ award in Sydney.